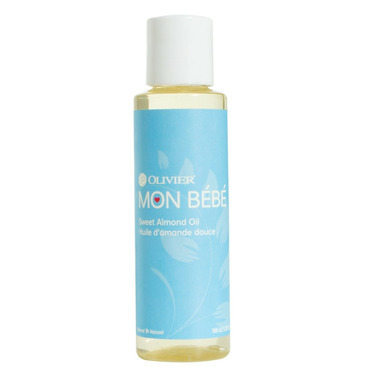 Olivier Mon Bébé Sweet Almond Oil is made with light, mild and sweet almond oil. It is hypoallergenic and so gentle it can be safely used on your baby's skin. I bought this oil for my infant son, who had cradle cap. I would massage it into his scalp before bath time to loosen and soften the dry skin. In conjunction with the frida baby cradle cap comb, this oil helped to get rid of my sons cradle cap. I love that it is a light oil, that doesnâ€™t leave the hair greasy after a bath.